St. Louis, MO –Edge Technologies announces Abraham Barragán as the Regional Sales Manager for Mexico. Barragán’s territory will include Mexico and Latin America. His home office will reside in the city of Querétaro. Barragán is from Monterrey city, in the state of Nuevo León, just 124 miles from the Laredo, Texas border. He is trilingual in English, Spanish, and German. Barragán graduated with his Bachelor’s Degree in Internal Business & Commerce from the Universidad Autónoma de Nuevo León. He continued his education at Tecnológico de Monterrey, earning a Master’s Degree in Quality Engineering and Productivity Systems. Barragán is a 5 year veteran in the machine tool industry and has over 10 years of experience working with international companies. In 2003, at the age of 18, Barragán began working for General Electric, in their internship program. He soon joined Deckel Maho Gildemeister (DMG), before the company merged with Mori Seiki. Later Barragán was hired by Jeyes Limited, a British maquiladora, as a Purchasing & Production Planning Executive. 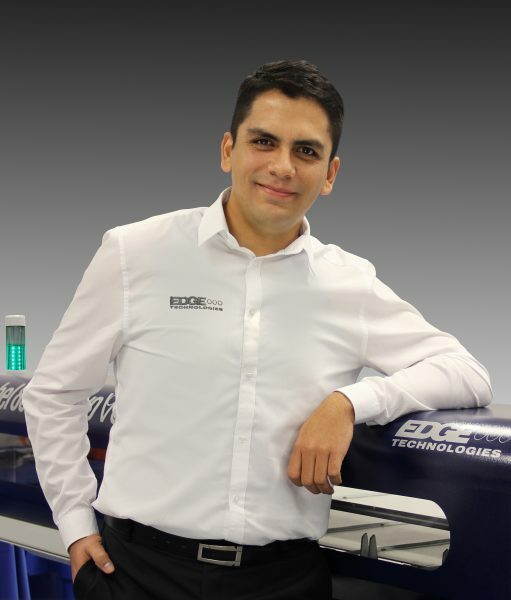 After the merge of DMG Mori; Barragán returned to DMG Mori as the Spare Parts Team Leader in 2013. While at DMG Mori, Barragán oversaw CNC spare parts purchases, negotiated and reviewed contract arrangements and pricing, and performed sales support.